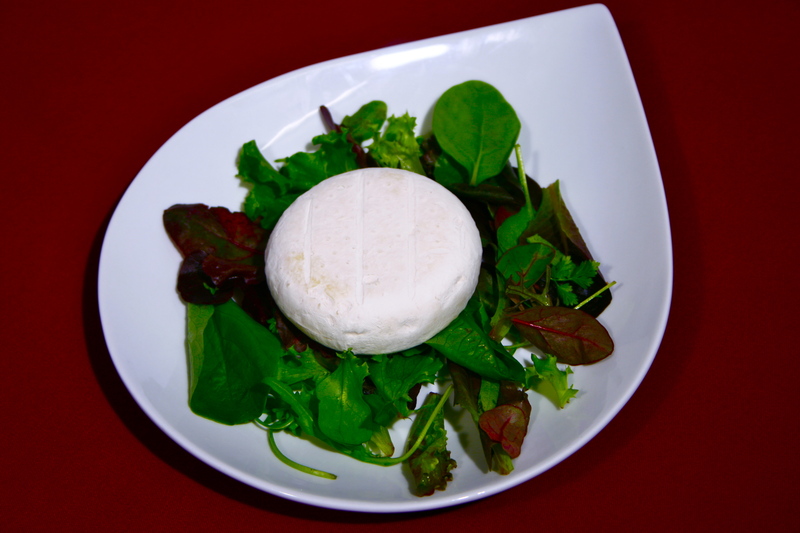 Cow`s cheese great for grilling, nice for starters wrapped with cured ham and hint of balsamic. 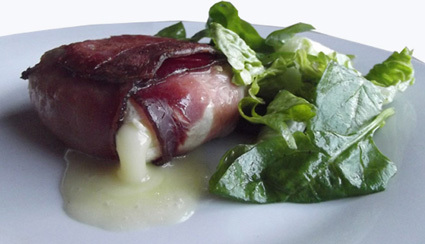 If you like more "smoky" flavor, wrap the cheese with two slices of smoked ham Speck, secure them with coctail sticks and grill them for 1 - 2 minutes on each side in a pan. Then place then onto the kitchen foil or baking paper and finish cooking in the oven until you see that cheese starts to melt.